Whether you’re running a loyalty program for your business, or for your members, it’s important to consider the psychological link between your customers and your company. 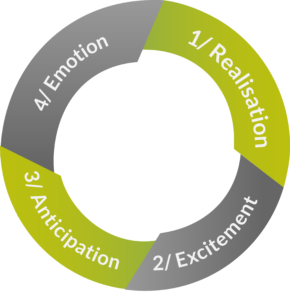 The psychological element begins the moment your program member realises that they’re eligible for a reward through your program. The excitement then grows as they review the choice of rewards they can choose from on your loyalty website. On completion of the order/claim, the next stage of excitement commences – the anticipation. Then the emotion of receiving and using the reward for the first time soon follows. The moment of the reward arriving at your member generates a sudden sense of surprise, happiness and excitement. When they receive the reward, which may or may not has been expected, it makes them appreciate the loyalty program that they have been a part of for months or even sometimes years. And finally, the ongoing usage of the selected item brings back the initial emotion of receiving the reward through the loyalty reward scheme. Now I’ve got a story for you; earlier this year, a colleague of mine recalled the time he was rewarded with an outdoor air blower for his customer loyalty to a business through a loyalty program. When he spoke about the moment he received the item, which he had picked out of a list of possible rewards, he couldn’t wipe the smile off his face and still to this day, he happily recounts his loyalty program gift. Every time we talk about his reward, he remembers where he was when the air blower arrived, which company was responsible for the reward, and the reason behind the reward. Years on, and he still uses the outdoors equipment, while always keeping the business at the back of his mind. This is a great example of positive customer experience within a loyalty program. Though, when I asked him what he bought with his most recent gift card, which was also part of a loyalty program, his mind suddenly went blank. He couldn’t recall what he had spent the money on. When you are considering rewarding your customers, it’s important to think about the psychology of the reward, as well as purpose, convenience and relevance. While gift cards have been proven to be efficient and convenient for program managers, they sometimes leave the receiver battling frustration and disappointment when they attempt to redeem them and find out they have become invalidated. As reported in our previous loyalty blog, Fair Trading revealed earlier this year that 79% of gift card receivers were left feeling annoyed and dissatisfied after their card had expired unexpectedly. While gift cards have become many project managers’ gift of choice, due to its lower costs of delivery, they are at odds against the objective to positively reward your customers. 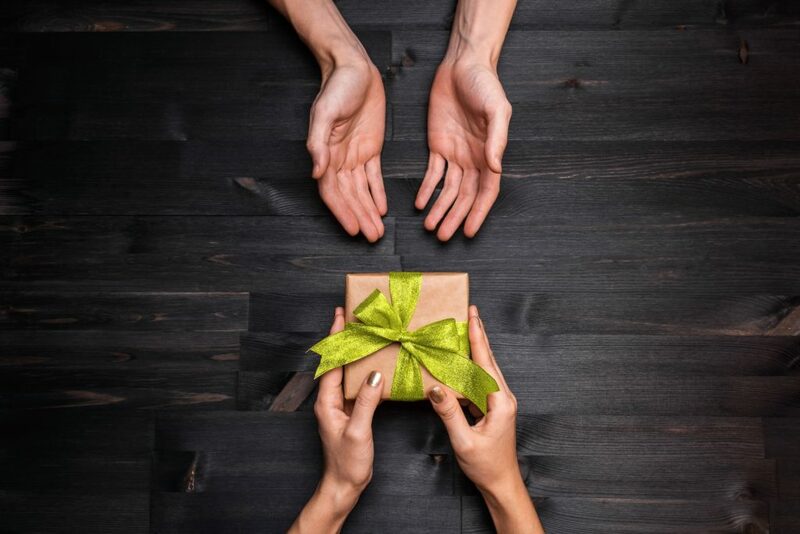 They have also become a gift item, which is no longer unique or meaningful because everyone receives them numerous times throughout the year, either through family, friends, employees or a loyalty reward scheme. So to avoid the disappointment, why not put in a little bit more of an effort and provide them with a choice of rewards that are meaningful; something memorable. Having a number of physical reward options online that the member can choose from can easily do this. By using your loyalty software solution, you could present them with a weekend away, a watch or a bottle of aged wine, just to name a few examples. You could also set the rewards under different tiers with set target points, making your rewards for appealing to your VIP customers. We challenge you to ask your members about their physical reward in months, and even years to come, and see if they will remember it. They will most likely remember the gift because they would have formed a fond memory to your reward. They may even feel the need to brag about the reward to their family, friends, colleagues and even fellow loyalty program members. The memory you leave on your customers with your well-thought-out loyalty program could also result in many more years of member loyalty and commitment. It could also possibly result in your customers talking about your loyalty program, and let’s face it, word of mouth is the still the best form of advertising for your loyalty program and your business. So when it comes time to creating or refreshing your loyalty program, consider the psychological effects it will have on both, your customer and your business. Better yet, why not speak to our experts on how you can get the most out of your loyalty program.